Samhain! ohhh, puts me in mind of all kinds of luscious hero types. What would you like for Halloween? I personally always wanted to be on the side of the Indians. Halloween – Religious Holiday – Halloween Blog Hop. On the Subject of Halloween. To 9/10ths of the population Halloween is a fun freaky holiday to scare themselves with horror movies, dress up in costume, go bar hopping or take the kiddies around to neighbors houses begging goodies. Is that all there is to Halloween? The real celebration is Samhain. A Celtic celebration of harvest. Commemoration of the end of the “light” side of the year and beginning of the “Dark” side of the year. Festival of the Dead. A time to remember those who’ve passed on to the other side. Samhain is a time when the veil between the living and the dead is thinnest. Contact with those who’ve passed from this life is most possible. Have you ever had contact from someone who is on the other side of the veil? Within the Wiccan religion the Aged Horned God reaches the end of his life and the Goddess is in the form of an elder crone. The cycle of seasons is drawing to a close. It is a time for ritual and celebration. Alter gifts of fruits and vegetables is appropriate as it recognizes the harvest. The Apple is particularly appropriate in it’s symbolism of the cycle of life. The apple is picked from the tree or falls to rot on the ground. The flesh and seeds (life) are released back to the earth. Ultimately to be born again as the seeds sprout to grow a new tree. It is a symbolic representation of the eternity; life, death, and resurrection to new life. I wonder how Wiccan and other Pagans feel about the traditions that have arisen around Halloween. Do they feel is is a desecration of a Holy Day? Drea had a great idea for a Halloween Blog Hop Visit her Events page for a list of the authors involved. Many of them have contests. Make a Comment and be sure to leave me your email so I can get in touch with you. The winner will be chosen after the 31st. With Halloween coming I wanted to post about horror movies or something trendy. But seriously, I can’t watch horror movies. They scare the bejeasus out of me. Last night we watched Paranormal Activities. That creaped me out big time. I don’t think I slept all night long. So what is your favorite scary movie? Or what costume do you love to dress as for Halloween? 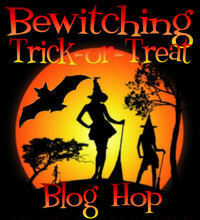 We are going to have some Halloween Fun with the Trick or Treat Blog Hop. The contest will start Friday, October 28, 2011 and go till midnight Monday, October 31, 2011. Each author runs their own contest and picks their own winner so make sure if you enter you check on their blogs. I’m thinking of something fun to have as a contest here. Thank you to Drea Becraft for organizing this Blog Hop. Check out her website for more information on the event. Hundreds of prizes. I realize it is only the end of September. Yet Fall is in the air and thoughts are turned to Halloween. How do you like your Fantasy Man dressed for the season? 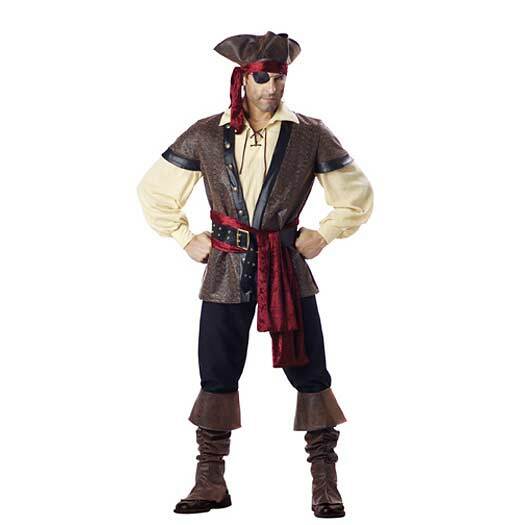 Pirates are the rage since Captain Jack Sparrow sailed through our fantasies. 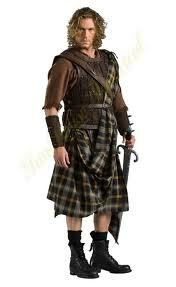 And ever since Bravehart women all over the world wondered just what the Scottsman has hidden is under that kilt? 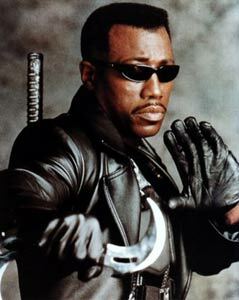 Oh and by the way, I am very particular about my vampires. You see…this is the thing…They don’t sparkle. Vampires, an equally popular Halloween Choice. Be a little devil and have fun with the holiday season.